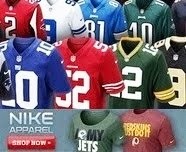 Our countdown of the top 100 NFL players of 2011 continues this week -- with numbers 30-21. 30. 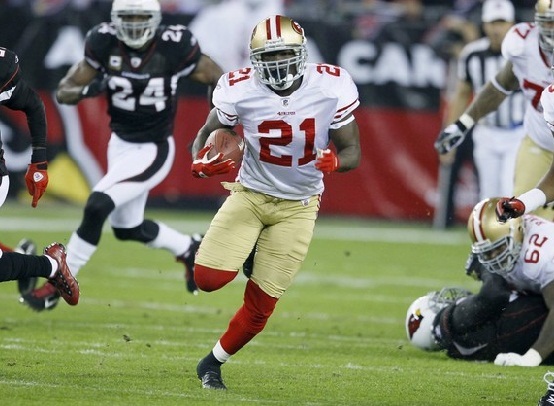 Frank Gore - RB, San Francisco 49ers: Gore seems to be one of the more under appreciated running backs in the league, but he continues to be a model of consistency in San Francisco. In 2011, he cracked the century mark for the fifth time in his career, rushing for over 1,200 yards and 8 touchdowns. 29. Andre Johnson - WR, Houston Texans: Simply put, Johnson is one of the most unstoppable receivers in the NFL. His combination of size and speed make him nearly impossible to cover. Despite missing 9 games with a hamstring injury last year, Johnson still managed 33 receptions for 492 yards and 2 scores. If he can stay healthy, expect him to return to Pro Bowl form in 2012. 28. Clay Matthews - LB, Green Bay Packers: Matthews does absolutely everything at the linebacker position for the Packers. He defends against the pass, shuts down the run, and most importantly, gets to the quarterback. One of the undeniable leaders of Green Bay's defense, Matthews recorded 50 total tackles, forced 3 fumbles, picked off 3 passes, and registered 6 QB sacks last season. 27. Arian Foster - RB, Houston Texans: Foster has quickly established himself as one of the premier backs in the game today. A threat both rushing and receiving out of the backfield, Foster accounted for well over 1,800 yards of offense in 2011, and scored 12 touchdowns to boot. At only 25 years of age, the best is still yet to come from this guy. 26. Ray Lewis - LB, Baltimore Ravens: Lewis will go down as one of the greatest linebackers in the history of the sport. Even at an advanced age, he's still a game changer for the Ravens. Last season, the 13-time Pro Bowler registered 95 total tackles, 2 sacks, 2 forced fumbles, and even added an interception for good measure. 25. Troy Polamalu - S, Pittsburgh Steelers: Polamalu is a guy that the opposing offense has to account for every single play. A master disguiser, he will drop back into coverage one play, and come with a perfectly timed blitz the next. Despite missing time in multiple games with various injuries last year, Polamalu still tallied 91 tackles, 2 interceptions, and 1 sack. 24. Ed Reed - S, Baltimore Ravens: Reed has the uncanny knack of being able to recognize what the opposing offense is doing before they do it. The league's active leader in interceptions with 57, he earned his eighth trip to the Pro Bowl last season by registering 52 total tackles, a forced fumble, a sack, and 3 picks. 23. Cam Newton - QB, Carolina Panthers: People expected a lot out of Newton last year after being the #1 overall selection in the draft, and boy did he deliver. In his first NFL start, he threw for 422 yards, the most ever by a rookie. The following week, he broke his own record (432). Newton finished the 2011 campaign with more passing yards than any rookie in league history (4,051). 22. Justin Smith - DE, San Francisco 49ers: Smith has played in 171 straight games -- the longest current streak by any NFL defensive lineman. Last season, he had 58 total tackles, 3 forced fumbles, and 7.5 sacks in helping the 49ers reach the NFC Championship Game. 21. Jared Allen - DE, Minnesota Vikings: While the Vikings suffered through a down year in 2011, it certainly wasn't due to lack of effort on Allen's part. He registered 22 sacks, reaching double digits in that category for the sixth time in his career. Allen also registered 66 tackles, forced 4 fumbles, recovered 4 fumbles, and picked off a pass as well. Hope you enjoyed these ten. Be sure to check back here next Sunday for numbers 20-11!